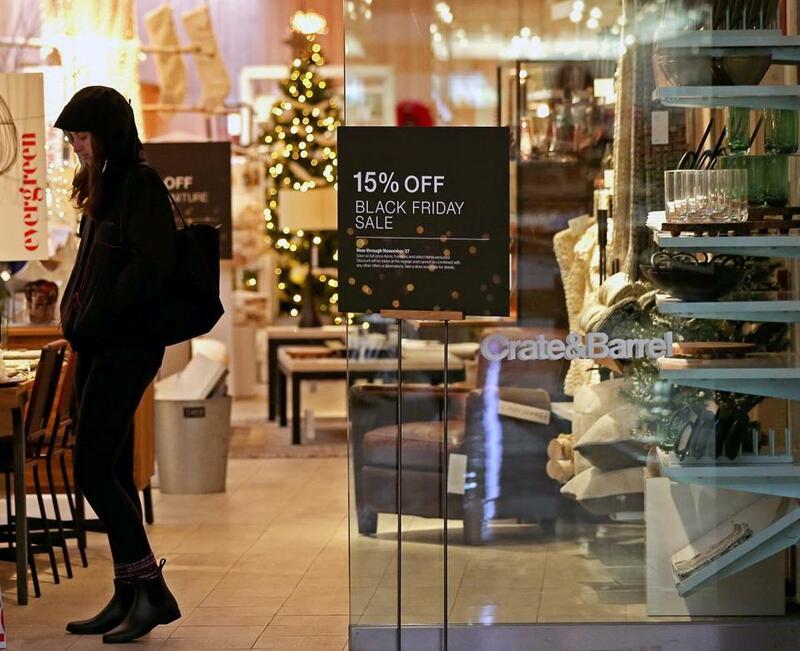 Crate & Barrel touted its Black Friday deals on Wednesday at its store in Chestnut Hill. David Bookbinder remembers the good old days of Black Friday, before the overnight lines, the mad dashes, and all the shoving. Back at the turn of the century, he would wake up at 3 a.m. and listen to the “A Charlie Brown Christmas” album in his car while waiting for the doors to open at Saugus’s Square One Mall, where he would load up on Christmas presents for bargain prices. “It was a lot more fun, it wasn’t a huge, huge crowd, and people weren’t jamming and mobbing to get in the door,” he said. But over time, Black Friday got “to the point when people started trampling each other,” he said. Tired of the braving the shopping herds, Bookbinder is skipping the lines this year. Instead, he will look for deals online, and not just on Black Friday. Bookbinder exemplifies what analysts are calling the “graying” of Black Friday, as the traditional holiday spending period has largely migrated earlier into November, away from traditional stores, and over to the immediacy of digital sales. Here’s a sampling of some of the enticing deals to gobble up once you’re done with the turkey. Last year, for the first time, the weekend after Thanksgiving wasn’t the busiest of the shopping season: Shopping peaked the last weekend in December, and it’s predicted that it will happen again this year. Of course, this weekend remains a key part of the shopping season: An estimated 69 percent of Americans — or 164 million people — are planning to make purchases the weekend after Thanksgiving, up from the 154 million who turned out last year, according to a survey released by the National Retail Federation. And sales figures for the entire holiday season are anticipated to reach as high as $682 billion this year, nearly 4 percent higher than last year. A woman looked at sale items in Burlington, Mass., in 2016. But trends indicate the shopping season is shifting: In the last two years the NRF has found that people have begun making purchases earlier, with 56 percent of respondents starting their holiday shopping before Thanksgiving this year. Among retailers, the first day of November is now widely considered to be the official start to the holiday shopping season, said NRF spokeswoman Ana Serafin Smith. Retail analysts say the shift stems from a confluence of factors: The gradual creep of sale events into the Thanksgiving holiday created backlash among consumers. And the appeal of Black Friday has diminished as customers have come to expect more sales throughout the year, said Rachel Trueblood, chief of marketing at Cayan, a Boston-based company that supplies payment services to stores. “Black Friday used to be when retailers had the biggest deals of the year, with unheard of discounts and products you couldn’t get anywhere else,” but that’s changed, Trueblood said, pointing specifically to Amazon’s Prime Day promotions, which were held in July and outpaced the site’s previous Black Friday sale figures for the first time ever this year. That’s led some stores to adopt what Trueblood jokingly called “Retail FOMO” — or fear of missing out — holding sales earlier in the season to stand out. 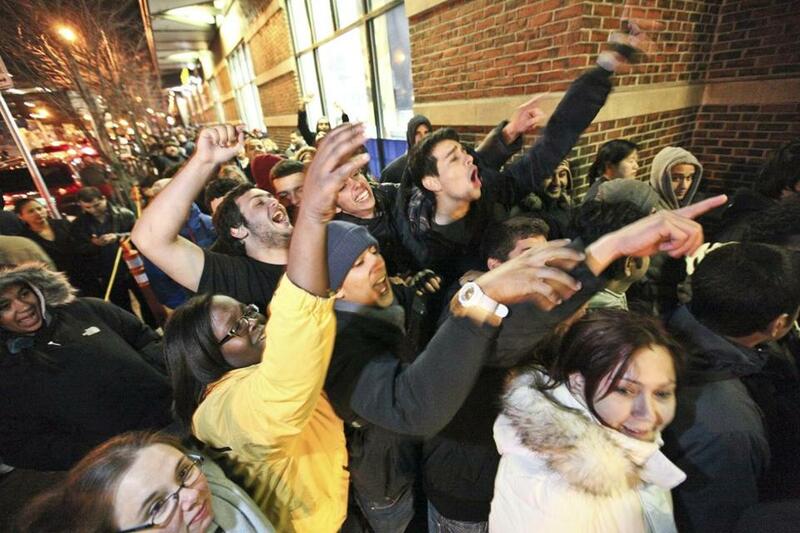 Customers waited in line outside Best Buy at the Cambridgeside Galleria on Thanksgiving night in 2011. This year, Amazon launched a countdown to Black Friday sale on Nov. 1. Costco rolled out its Pre-Pre-Black Friday sale on the 9th. Lord & Taylor was on the pre-Black Friday bandwagon, while Barnes & Noble has been touting Black Friday Week. And while the initial conceit of Cyber Monday has been rendered moot by the growth of home Internet use — the phrase was coined in 2005, back when the deals targeted workers using high-speed Web connections at the office — the constant availability of online deals, plus free and faster shipping times, means that 59 percent of consumers plan to do some shopping online, the most in their survey’s history, said NRF’s Smith. Factor in the rising role of mobile shopping — Adobe anticipates shoppers will do more browsing of retailers’ websites on their smartphones than on their desktop computers for the first time this year — and the holiday buying season is essentially always on, and always on sale. “It’s ubiquitous. 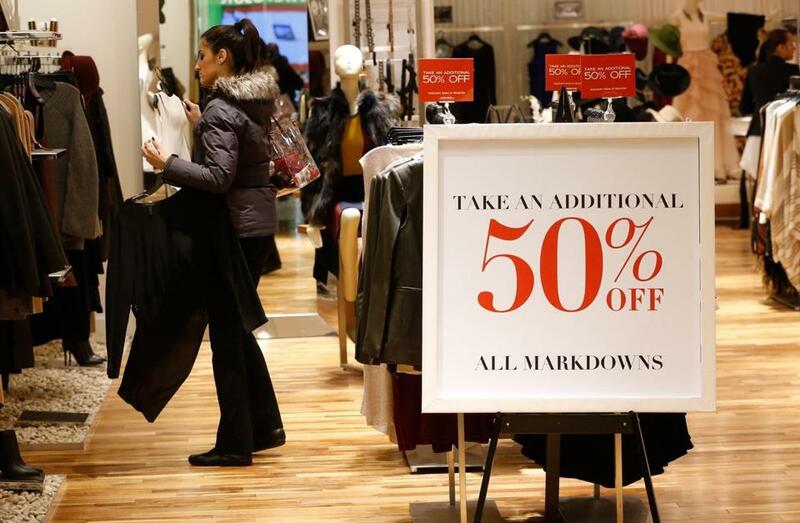 You can buy any time, and that makes Black Friday less of an experience,” said Barbara Bickart, a marketing professor at Boston University’s Questrom School of Business. 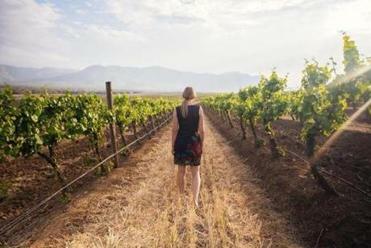 That ubiquity, coupled with the negative feelings among some about the over-commercialization of the Thanksgiving holiday have led to a tipping point, she said. Some consumers are uncomfortable with the idea of heading out to the stores and taking employees away from their families. Still, not everyone has given up on Black Friday promotions. But stores that are sticking with the shopping holiday must offer more than bargains, said Brad Bane, the executive vice president of the Market Track research firm. “They have to find a new way to compete,” he said. So this year, Target held toy demo events in early November, and will offer hot chocolate, Santa pictures, and cookie-decorating stations in the weeks leading up to Christmas. Walmart is hosting 20,000 shopping parties in November and December that will focus on toys, entertaining, and gifts. The discount retailer also brought back its Holiday Helpers in an effort to make shopping more pleasant, said Walmart spokesperson Phillip Keene. 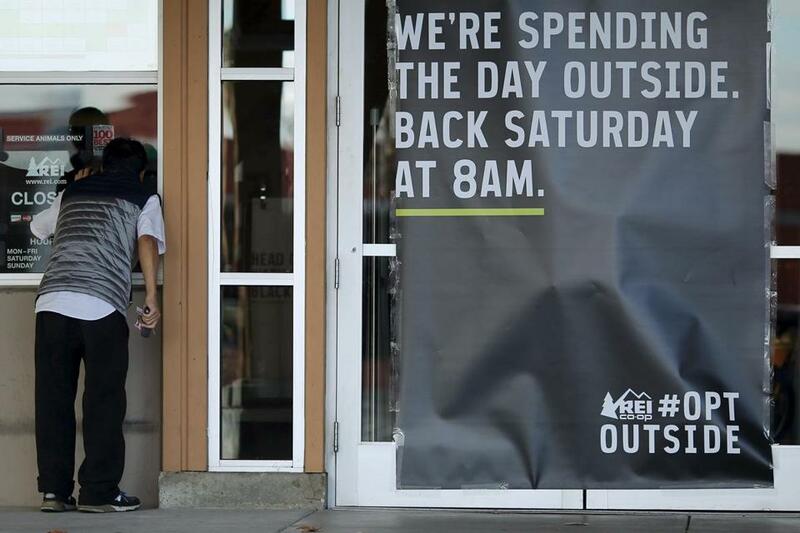 Smith, of the National Retail Federation, said as Black Friday’s prominence has faded, retailers have begun to focus on “Super Saturday,” the last Saturday before Christmas. Last year, 154 million people turned out to shop over the five-day Thanksgiving weekend, but even more — 156 million — made last-minute purchases and impulse buys. “It will be the busiest day that we go to retailers,” Smith predicted. A man looked into the window of an REI store, which was closed on Black Friday, in 2015.